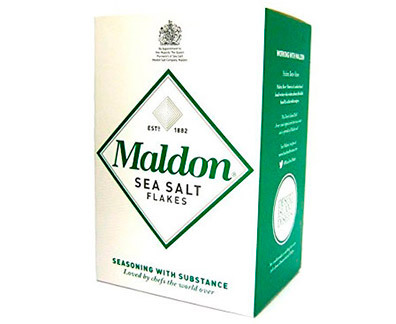 Maldon Salt is the salt of the earth! It's the flakiest salt there is. Crystals with large surface area mean "less is more". Use to finish dishes for a lovely burst of flavor.